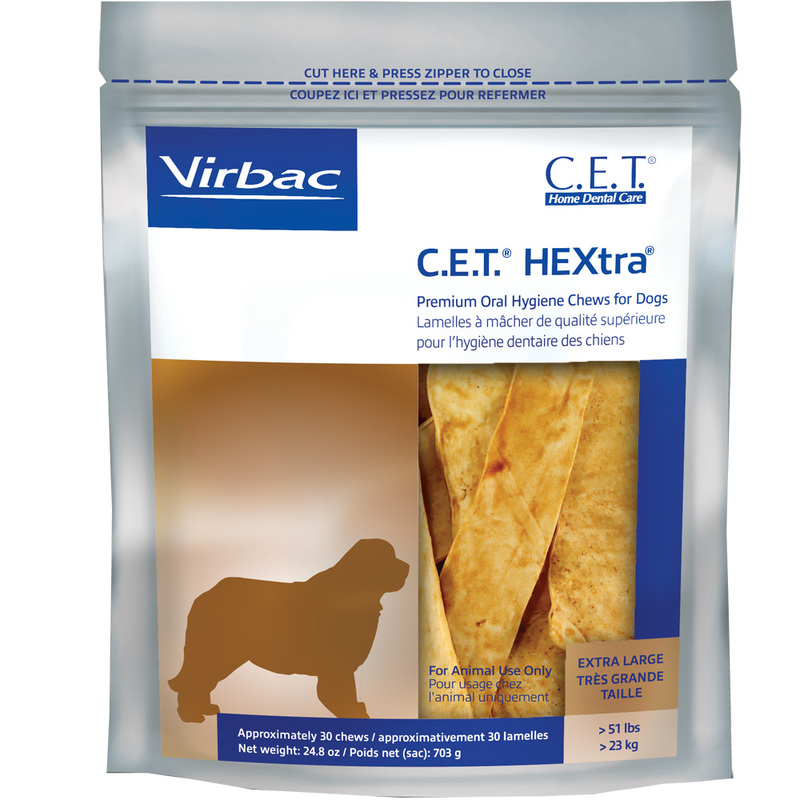 Premium chew clinically proven to reduce calculus when used daily in dogs. C.E.T. 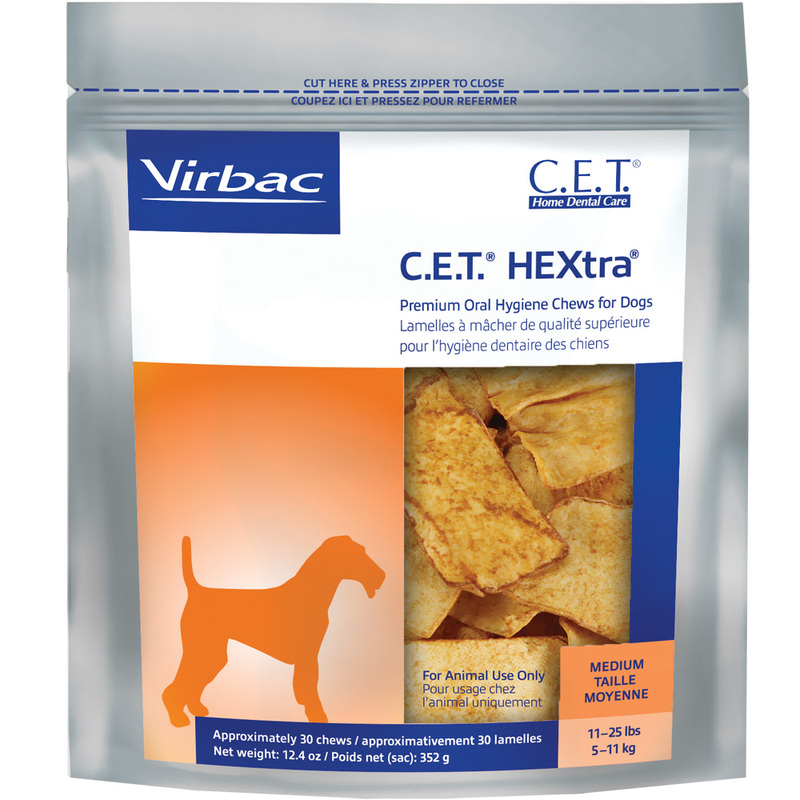 HEXtra Premium Chews for Dogs have the patented, exclusive, Chlorhexidine System to remove plaque and reduce tartar. 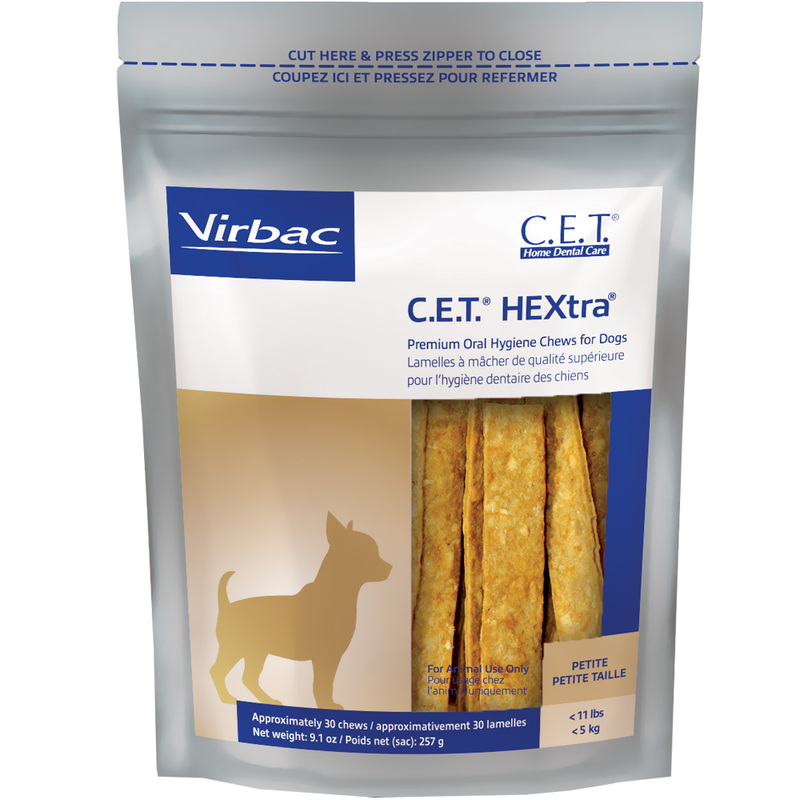 For daily use in dogs as a chew to help remove plaque and reduce tartar. • Provides a well-known antiseptic effect and helps remove plaque and reduce tartar. Chews are coated with exclusive patented 10% solution of chlorhexidine gluconate. • Contains beefhide for natural abrasive cleansing action. • Helps keep teeth clean and breath fresh, even on days when brushing isn’t possible. • Persistent action. Chlorhexidine is released into the oral cavity during chewing and may be released for up to 24 hours, providing sustained antimicrobial action. • Appealing flavor. Dog owners may give as a daily chew. Available in petite, medium, large, and extra-large sizes. All sizes available in 30-count bags. C.E.T. 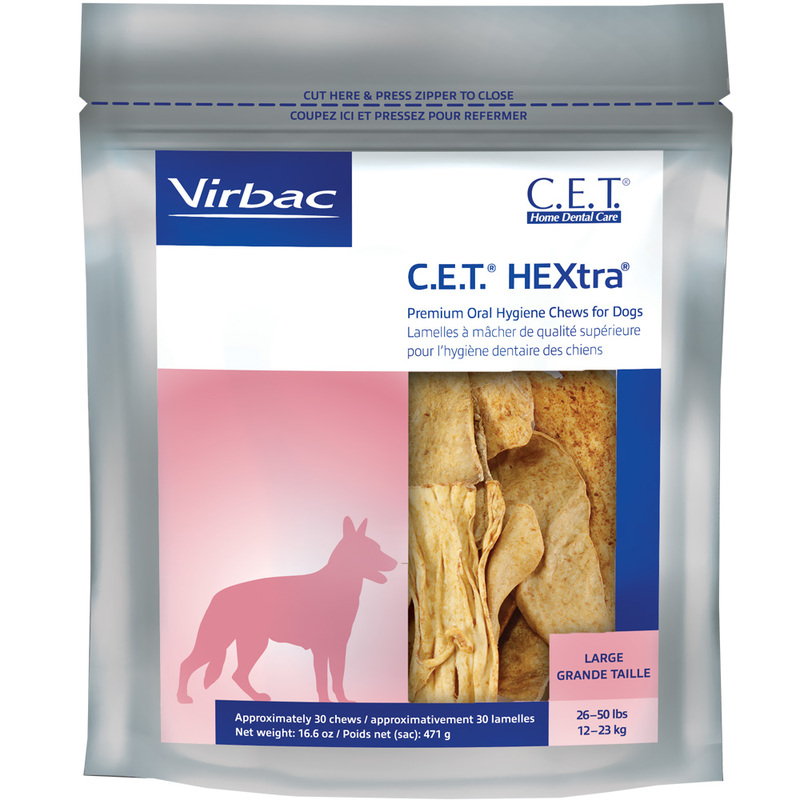 HEXtra Premium Chews for Dogs should be part of a complete home dental care program which includes brushing, rinsing, and chewing. Give your dog at least one chew daily, or as directed by your veterinarian, to reduce plaque and calculus. Coated with a patented 10% solution of Chlorhexidine gluconate, Beefhide, Maltodextrin, Hydrolyzed Poultry Liver (enzymatic), tetrasodium pyrophosphate, salt, lecithin, sodium Gluconate, potassium sorbate, gluconodeltalactone, mineral oil, mixed tocopherols, rosemary extract.